Our Thoughtwave Vizag has started Helping Hands event to provide fruits, crackers, books & pens, biscuits to the children of PAPA HOME (Orphans Home). Our employees shown keen interest to help the people. We believe that their is an real Hero inside you to see the sparkles in the eyes of the children !! 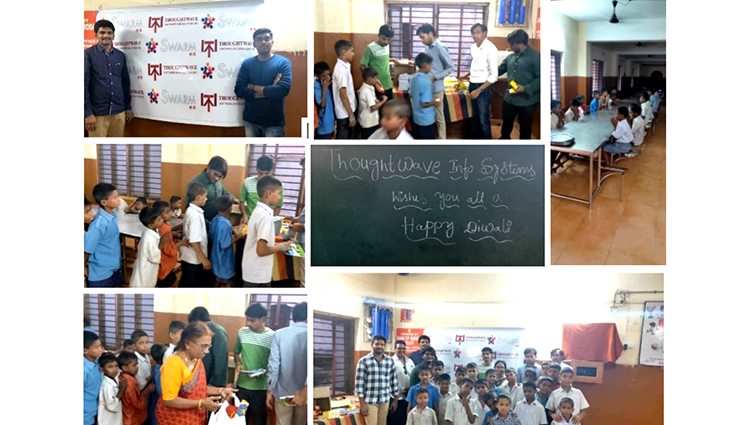 We congratulate the Thoughtwave HR Department, Visakhapatnam India for taking interest and helping the Orphans on the eve of Diwali, letting them to celebrate the festival of lights, Diwali.